Keren M. Negrón Losada, 20, was born in Ciego de Ávila, Cuba, and moved to Puerto Rico when she was only 3 months old. The second of four sisters, her mom, Maria Losada, was Cuban and her dad, Luis A. Negron, was Puerto Rican. When Negrón was 3 years old, her father passed away, leaving her mother to raise four daughters by herself in a foreign country. Even though she watched her mother struggle to keep her family afloat, Negrón made the best of every situation. After graduating from high school, she pursued a degree at the University of Puerto Rico, Rio Piedras campus, pursuing a degree in finance from the College of Business. Hurricane Maria hit Puerto Rico at the start of her junior year. Negrón’s hometown of Guayama was destroyed as was her college campus. Her mother’s home went without running water for almost three weeks. They had no cell phone signal for two months and no power for five months. On October 13, 2017, Negrón and her sisters went to the San Juan airport and attempted to buy tickets to Miami. They had no plan and nowhere to go. Their mother was devastated to watch her children go but felt like there was no other choice. They just wanted to get out of the conditions they were living in. They learned that day that there was one ticket available, so Negron’s 16-year-old sister Limarie jumped on the flight with no money or luggage. Negrón’s mother called a family friend, and they graciously agreed to take her in temporarily, which allowed her to continue her junior year of high school at Braddock Senior High School. Less than a month later, Negrón and her second youngest sister, Jemarie, arrived in Miami, reuniting with Limarie. The three of them moved into an efficiency, and Keren quickly found jobs as a hostess and a sales associate to sustain her family. With little knowledge about Miami, the first weeks were stressful and hectic. Keren and Jemarie wanted to re-enroll in university. They decided to see if they could continue their studies at FIU since it was near Limarie’s high school. Now, on the one-year anniversary of Maria, Negrón is living in a one-bedroom apartment with her two younger sisters, working full-time balancing her school work and job. She is a recent recipient of the Pamela Silva Conde First Generation Scholarship and is pursuing a degree in finance. Limarie has begun her senior year at Braddock Senior High School, and Jemarie will be attending FIU this coming Spring. Keren currently works in FIU’s Office of Financial Aid and is expected to graduate in December 2019. 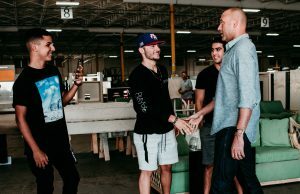 In the year since Hurricane Maria hit Puerto Rico, the university has been able to fundraise more than $1 million and provide the more than 700 Puerto Rican students like Negrón at FIU with much-needed emergency aid in the form of housing stipends, tuition assistance, food stipends, books and counseling services. With support from organizations such as the John S. and James L. Knight Foundation, Carnegie Corporation of New York, Health Foundation of South Florida and the Florida International Board of Directors, the students have thrived. On average the 200 displaced students received a 3.0 GPA for the Spring semester and many have gone on to internships and opportunities across the United States. 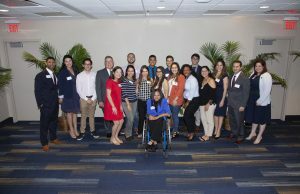 FIU has collaborated with several different organizations that have worked alongside the university to provide these students with additional support. This past February, the Miami Marlins collaborated with the Turn2Foundation and provided more than 100 students from Puerto Rico with a furniture distribution that was valued at more than $60,000 dollars. The students received stoves, refrigerators, beds, televisions, couches, small appliances, night stands, dresses, sheets, towels, etc. to help furnish their new apartments and living spaces. 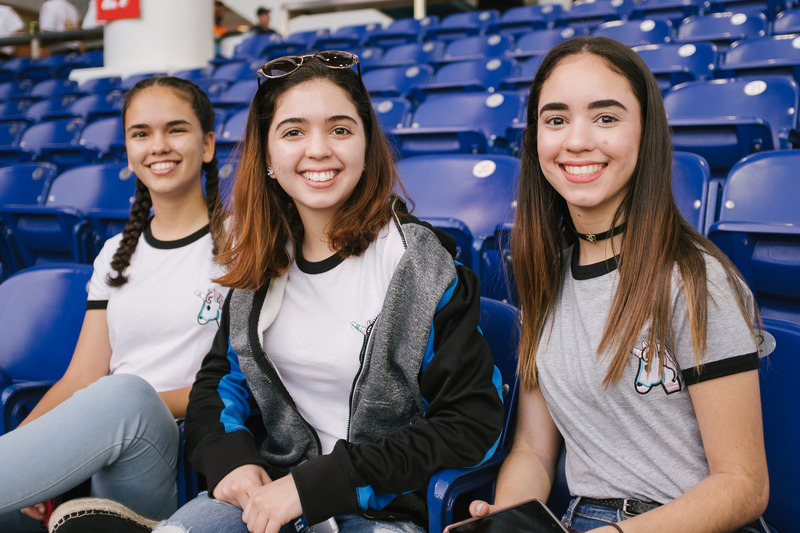 In addition, the Miami Marlins provided FIU with more than 200 complimentary tickets that were distributed to Puerto Rico students for Puerto Rican Heritage Day. The students were able to enjoy a baseball game and one of the students was even asked to come on the mound for the celebration ceremonies and was able to meet the team’s top executives and players. FIU has also collaborated with Puerto Alliance of Florida to host the first ever “Nuestro Futuro” Symposium held on June 30, 2018. 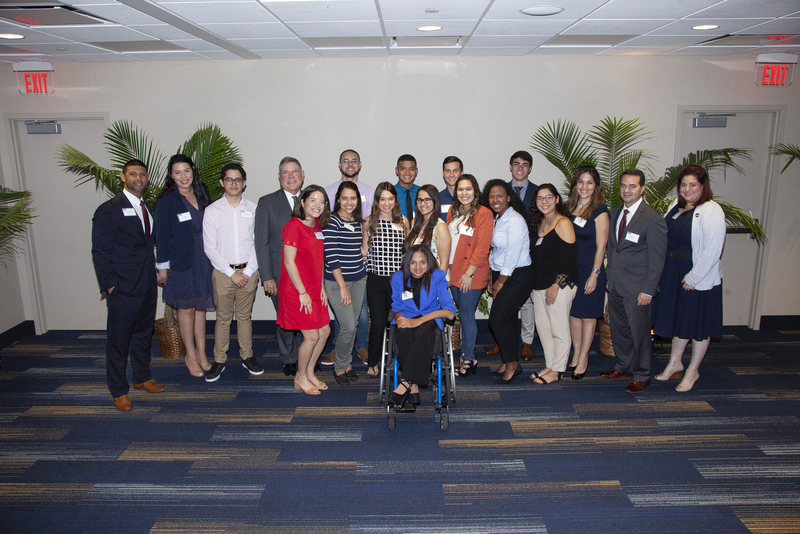 The symposium helped raise more than $25,000 for the Maurice A. Ferré Educational Fund created to provide support for Puerto Rican students who currently attend FIU. Ferré, a six-time Miami mayor and the first Hispanic mayor of Miami, has been working for the past semester to raise funds and scholarships for local Puerto Rican students. The symposium also revealed the results of the first-ever study on Puerto Ricans in Florida. The study was commissioned and sponsored by the Puerto Rican Alliance of Florida was conducted by FIU professors Eduardo Gamarra and Jorge Duany.